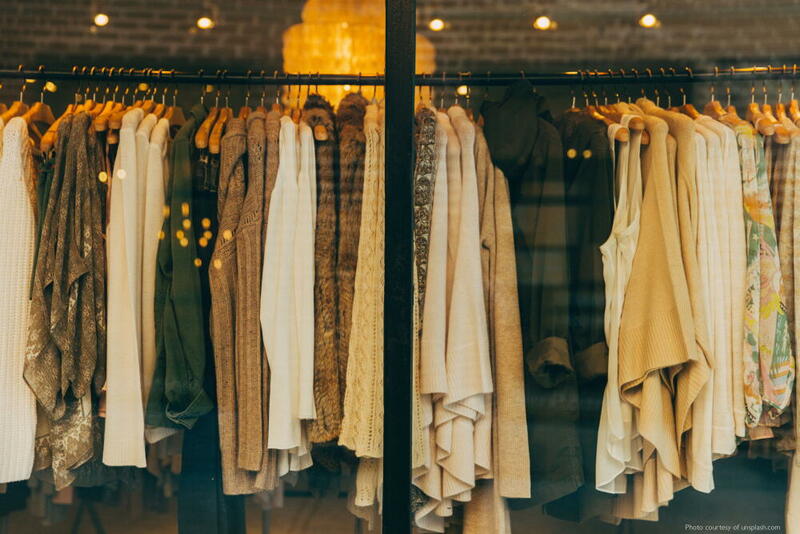 8 Little Known Facts About Our Clothing Habits - Planet Aid, Inc.
Every year, more than 80 billion articles of clothing are produced and sold around the world. That means that every year, billions of used articles of clothing are thrown away to make room for the new ones. This is an unfortunate waste of valuable resources. Here's 8 facts that will help you understand why. 1) It takes 700 gallons of water to make a cotton shirt. It takes a lot of water to produce the cotton needed to make clothes. To put these numbers in perspective, the amount of water needed to make a t-shirt is enough for one person to stay hydrated for 900 days while the amount of water needed to make a pair of jeans is equivalent to hosing down your lawn for 9 hours straight. 2) The average American throws out about 82 pounds of textile waste per year. That’s 11 million tons of waste produced every year by just the United States alone. While it may seem harmless to throw out tattered clothes, these fabrics are likely to then end up in landfills, where they pile up to produce toxic greenhouse gasses that are emitted into the atmosphere. As a leading cause of global warming, these gases are very dangerous for our environment and hazardous for our health. 3) Clothes can take up to 40 years to decompose. Once we throw out our clothes, we accept the fact that we’ll never see them again. However, just because our discarded clothes are no longer in our lives, it doesn’t mean they’ve disappeared. While some materials take longer to decompose than others, all have harmful effects for the environment. In addition to releasing gases like methane, most fabrics are made with dyes and chemicals that can contaminate the soil and water in the ground. 4) Shoes can take up to 1,000 years to break down. Thought clothes took a long time to decompose? Shoes take even longer! 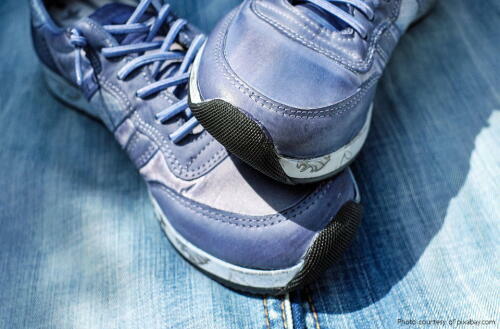 Commonly made with a material called ethylene vinyl, the midsoles of shoes can take a really long time to break down. Rather than adding more waste to landfills, try donating or selling your shoes! 5) 95% of textiles can be recycled. Every year, we continue to throw away our old textiles, even though almost all of them can be recycled! This means that there is an alternative to landfill waste. In 2013, the US Environmental Protection Agency estimated that 2.3 million tons of textiles were recycled, thus avoiding disposal. They claimed the environmental impact of this number was the same as taking 1.2 million cars off the road. Whether you choose to donate your old things to charity, or up-cycle them into something new for yourself, imagine the environmental difference we could make if everyone made the choice to recycle their clothes! 6) Textiles can be repurposed into a number of things, including sports fields, pillow stuffing, and paper money. When you recycle your clothing, it’s possible they might go straight to a new owner without any alteration. It’s also possible, however, that they might be repurposed into a plethora of everyday items. Whether the textile fibers are turned into carpet padding, baseball filling or jewelry box lining, you never know where your recycled clothes might end up! 7) When you donate clothing to charities, it’s not uncommon for the clothing to be sold overseas. Fortunately, a lot of people donate clothes every day. However, it’s a common misconception that all of these donated clothes are distributed domestically. The reality is there are just too many unwanted clothes for that! That’s why many clothing collection organizations, Planet Aid included, sell clothing abroad. And at Planet Aid, we use the proceeds to fund sustainable development programs all over the world! 8) 70% of the world wears secondhand clothing. So next time you want to go shopping, try checking out a secondhand thrift store! Not only does this help contribute to a more circular textile industry, but it also saves you money. Also, next time you donate your clothes, feel good about the fact that your old clothes are likely to end up making someone else very happy!